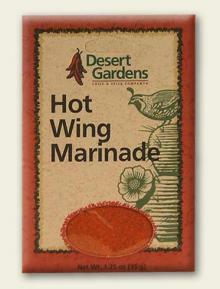 Jalapenos, garlic, onion, & salt – a wonderful blend of flavors! 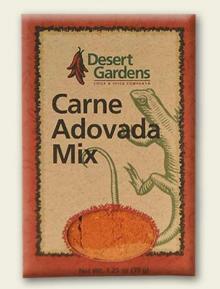 Great for grilling, seasoning or to add Southwestern style to any of your favorite dishes! Ground Jalapeno, Onion, Salt, and Garlic. When I first discovered this seasoning I put it on everything I ate for over 6 months, in stews, over Cesar salad, on pizza, sandwiches , you name it , I put Jalapeno seasoning on it- breakfast lunch and dinner (well maybe not ice cream or deserts) but everything else! 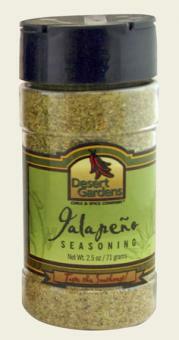 I discovered Desert Gardens Jalapeno seasoning at the Olive pit in central California while on a road trip over 15 years ago and have had it in my kitchen ever since. I mailed away for it by the case. Now I order direct from the source. Try it –it’s great, I’ve gotten a number of people hooked on it!